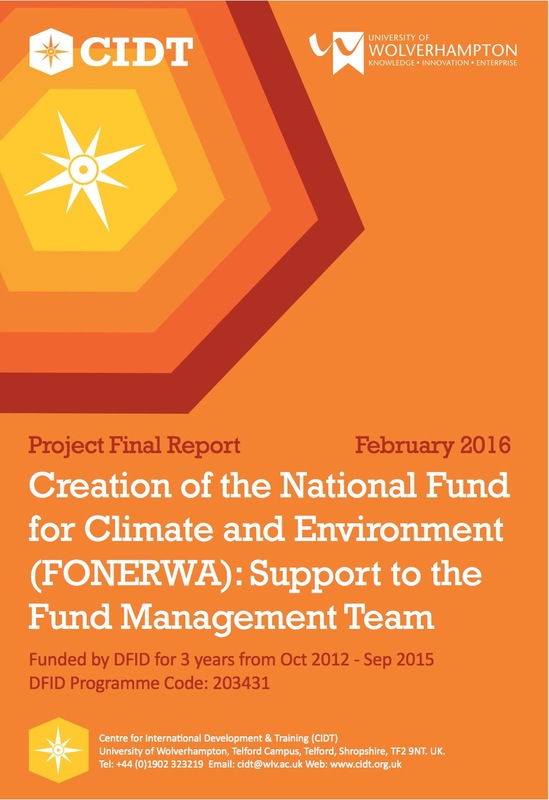 CIDT is today sharing the final report of a 3-year DFID Fund Management support project to the National Climate Fund of Rwanda, FONERWA. FONERWA is a ground-breaking environment and climate change fund supporting green and climate resilient economic development in Rwanda. The Fund provides technical and financial support to public and private projects that align with Rwanda’s commitment to a green economy. FONERWA receives project proposals from government, civil society and the private sector, and more than 30 proposals to date have met the high standards required for accessing FONERWA funds. 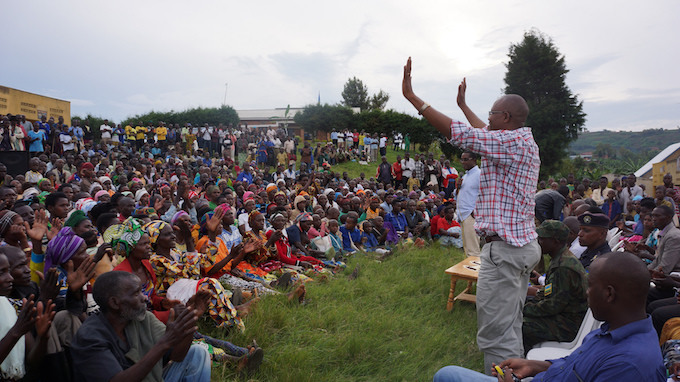 These projects contribute to Rwanda’s green and climate resilient objectives and ultimately to the country’s development. As well as contributing to the design and operationalization of the Fund, CIDT helped to establish the Fund Management Team and after two years, to support the transfer of fund management to the Government of Rwanda Secretariat. The Final project report describes the strategy, activities, results and lessons learned from 3 years of CIDT project management of the Fund Management Team support project. As an ambitious but successful programme for mobilizing international climate finance through a national fund, the report provides useful insights into the opportunities, challenges and strategies for implementing such funds in other countries in the future.